Are you wondering how to glue paper without wrinkles? 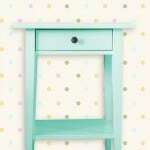 Here are some tips that are guaranteed to help your decoupage projects. PROBLEM: You got those terrible little bubbles and wrinkles in your paper. And they didn't go away when the project dried. SOLUTION: There are three parts – three options of things you can do to avoid this problem. Here we go. Part A – Spray your paper with this. You can really use any acrylic sealer, but this one is my favorite. Spray both sides of the paper SEVERAL times and allow to dry. What happens is the sealers acts as a makeshift barrier, so that the surface of the paper gets glued, but the glue doesn't soak all the way through the fibers and make a soggy mess (thereby causing the dreaded wrinkles). Part B – You can mist the paper with water. This is especially important with thinner papers. I've never had success with really thin papers unless I've misted them with water (NOT soaked) and then also used a roller. Don't roll over the top too much though, or you will start to wear the paper away – since it's wet. Part C – Allow the paper to dry to the surface BEFORE Mod Podging over it. Let me explain. 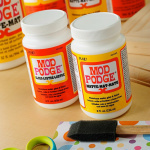 You MUST apply enough Mod Podge to either the project surface or the paper back. I get that question a lot, actually. It doesn't matter what you do, just make sure that you apply a medium layer – not too thin. Apply the paper to the project surface and SMOOTH THOROUGHLY with your fingers or a brayer. Allow this to dry for 15 – 20 minutes and THEN go back and Mod Podge over it to seal. NOTE: Tissue paper is going to wrinkle. It's just going to. It's part of the fancy effect. Now you know how to glue paper without wrinkles! For more information and to see great videos with some tips, visit youtube.com/modpodgerocks. 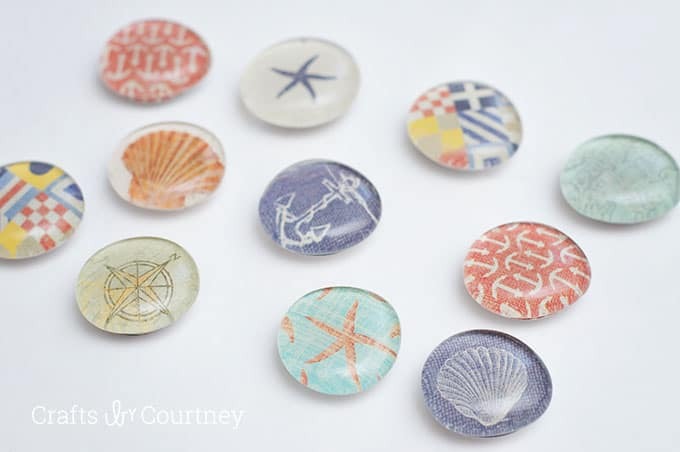 I also have a complete learn how to decoupage section with an FAQ (visit that too). Thanks for visiting my itty-bitty blog and leading me to this fantastic informative blog! I wish I had known these tips before I did my “art” project! I apply a lot of blue on bottom so that it doesnt bubble on from not sticking all the way. Then I use a rolling brayer to really really smooth it down and make it stick well. Then I apply a light coat over the top! no bubbles! This is great advice, just a question to verify I understand correctly, you’re saying do A AND B (spray and allow to dry) or A OR B (either spray or be mindful of dry time?) Did one clipboard that bubbled horribly after having been gifted a perfectly flat one…felt like a decoupage novice loser! Hey Jamie – Always be mindful of dry time. Always! 😀 In terms of the spray, I only do this when the paper isn’t thick (wrapping paper, thinner scrapbook papers, etc.). The thinner papers are the ones that wrinkle. Cardstock and those type of paper weights shouldn’t wrinkle if you are just mindful of dry time. thanks for the post! 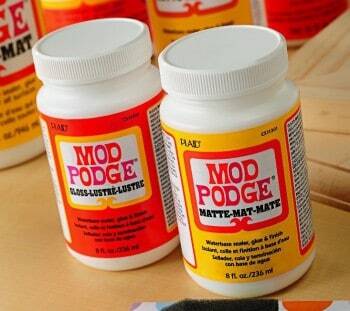 is it possible that heat would ruin a jar of mod podge? i have a gallon sized one that i have used with no problem before, but summer came (it was out in the garage) and now i am fighting wrinkles on every project. i’ve tried both methods you’ve mentioned here to prep the paper, and i lay flat projects out to dry under heavy yearbooks…but always come back to wrinkles. the watercolor paper i am using seems to be repelled from the mod podge on application rather than sticking down, i am just fighting to get it onto the art canvas. i’d appreciate any other input you can give…i had a little etsy business going and i’ve redone my last order 5 times trying to solve this problem! So disappointed. I tried this and I still had to fight the wrinkles and bubbles. Hi Anonymous! I did this post a long time ago and since then have made videos to help at youtube.com/modpodgerocks. Try watching those. 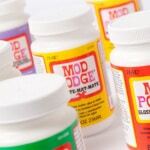 Also make sure to use enough Mod Podge. Often times that is the ticket! Oh Amy, Amy, Amy! I watched the videos (twice!) and used this very cool thick paper that I sealed, then I followed ALL your instructions and my little tables STILL came out all wrinkly and yuck! I’m afraid I may have to – *gasp* – do them over!!! Fortunately, I still have enough paper, but I’m wondering how to avoid this tragedy again. Any ideas? Wanna see before and after pics? You can try Mod Podging over it and see if the wrinkles go away, because at this point you won’t be able to remove the poster without it tearing . 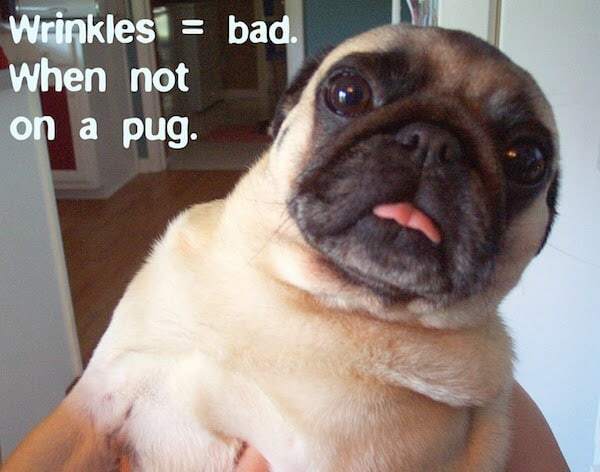 . . and sometimes the wrinkles do go away with a topcoat. Good luck! Thank you soooooooooooooooooo much!!!! The acryclic spray works wonders. It has made me love decoupaging and working with paper in my art again. Seriously – I thank you so much! Hi Clare, unfortunately once the project is done and completely dried, you won’t be able to reduce the wrinkles. You have to take the steps during the project! Hi, I am trying to Mod Podge a poster to canvas. 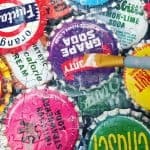 Would you suggest using spray adhesive to put it down or a layer of Mod Podge? Also any advice on reducing wrinkles. I watched your youtube videos and I got some good ideas, but I was wondering if you had any advice specific to posters. Thanks! Hi Keri! Posters are REALLY hard, actually. Honestly if it’s pretty large I would get it professionally mounted. You just saved my project!! Thanks for the tips! !